It is estimated that many large brands could be losing up to 30% of the value of their communications investment in the media supply chain, with suppliers not always adding the value that their involvement (and fees) are supposed to deliver. There are a number of possible reasons for this: incorrect objective setting, poor briefing, sloppy strategic planning, working with the wrong suppliers, non-transparent trading practices, weak remuneration models, incorrect media choice and execution and lack of proper data, analysis and reporting. Minimising this value loss is clearly a priority for advertisers. Much can be achieved through more effectively managing the media agencies. Indeed, how advertisers manage their media agencies has been the subject of considerable attention since the K2 Intelligence / Association of National Advertisers Media Transparency Report of 2016. It stated that there was a “fundamental disconnect in the advertising industry regarding the basic nature of the advertiser-agency relationship.” It highlighted the need for advertisers to review and update their media agency contracts and their internal contract governance. This has helped elevate media transparency to CMO level in many organisations and has prompted the positive change, especially around rebates and bonuses. Strong media governance is the foundation of a productive advertiser-agency relationship. The reality is that managing media agencies goes far beyond the scrutiny of contracts, but also includes areas such as setting KPIs for media and agencies, payment models, and best practice in briefing and evaluating strategy work. A key focus should be on aligning agency outputs to drive brand and business value, with outcomes focused on advertiser performance. It’s also important to develop a culture of incremental improvement while ensuring that agencies understand that they are accountable for poor performance. This will support a much stronger relationship that will enable advertisers to unlock greater value from their agencies. When it comes to ensuring the best media agency contracts, there has been a marked shift in the advertiser-agency relationship over recent years. In 2016, the ANA Media Transparency Report highlighted the need for marketers to take control back from media agencies: many large advertisers have acted on this advice. The original Media Contract Framework initiative, championed by ISBA in collaboration with many of the world’s leading media consultancies, provided the impetus, tools and confidence for clients to sit down at the negotiating table as equals with their media agencies. For their part, the agencies have become much more open to concession and agreement, and there is often a genuine desire to build a true partnership platform. 1. It should outline how the client pays the agency. The remuneration structure will dictate the behaviours by which the agency operates, so it should be fair and equitable, and designed to drive value generation for the advertiser while rewarding strong performance. 2. It should hold the agency to account for what they have promised to deliver and their commitments to behave in the right way. 3. It should hold the right people to account. A modern, relevant and future-facing contract is ideally held at the group level rather than network level (if working with one of the six big holding groups). It should provide greater scrutiny over data ownership, digital supply chain visibility and mitigation against ad-fraud such as non-payment or the retrieval of money for invalid traffic. With this in mind, advertisers are reviewing their agency contracts more regularly to ensure that the best possible and most fit-for-purpose agreements are in place. Inevitably, this means that more contract negotiations are taking place outside of media agency reviews with the recommendation that contract terms should be assessed annually as part of an ongoing agency management process. Designing the right remuneration model is crucial to managing your media agencies. The right remuneration model will make your media investment more effective by addressing areas of value loss and prioritising the right areas of agency focus (which in turn create the most value). Advertisers use three main remuneration models: commission-based models see an agency earn a percentage of the media billings spent; fee-based models are where the agency earns an hourly rate based on the resources supplied; and value-based models are where the agency earns the profit based on the value they create for the client. In recent years, many advertisers have moved away from the commission-based model as it can sometimes reward an agency without actually incentivising them to deliver effective solutions. Instead, many advertisers are looking for new ways to reward and incentivise their agencies, ways that align agencies more closely with their own goals and make them more accountable for success. In essence, moving from a commission-based model to an alternative model will guarantee greater agency transparency and better alignment with your company’s own marketing goals. Setting key performance indicators (KPIs) for your media agencies is a valuable way to make sure that your investment is working. Media is one of the largest single investments that a company can make and it needs to deliver results. In an increasingly complex and fragmented media environment, knowing what to measure and how to measure it will help you understand your ROI much more clearly. Identifying the right KPIs for your media agency will really help them to drive the right outcomes for your company. They form a critical step in defining what agency resource, data and technology will be required. It’s best practice for media KPIs to be owned by those who can most directly influence their outcome, and it is important to identify and align the owners of each KPI both internally and within your agencies. The metrics of agency assessment should be closely linked to your own KPIs, as it is when an agency is most closely aligned to delivering the marketing team’s objectives that it is most likely to be driving the right outcomes for that company. Indeed, you can incorporate agency KPIs as part of your agency’s remuneration incentives, providing you with an important way to ensure that they are accountable for the quality of work they deliver. The briefing and evaluation of strategy work is another core element of managing media agencies. 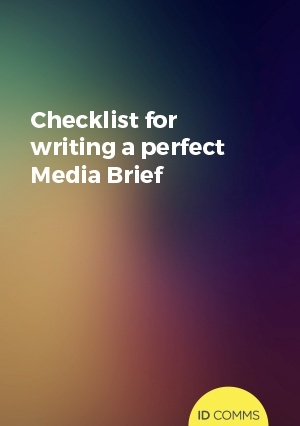 It is absolutely critical for advertisers to provide a clear brief to their agency as the basis for delivering a media campaign. A good agency briefing ensures that all parties have the same level of knowledge, are aligned on the campaign objectives, and understand how success will be measured. It is also an opportunity to challenge agencies to deliver the highest quality media planning. A good brief will include the business context to the challenge, clear objectives, insight into what differentiates the brand from the competition, detailed consumer insights, budgeting and a reasonable timeframe for the agency to respond. Providing comprehensive briefing materials will help to ensure that the work is delivered more quickly and with fewer revisions. In order to evaluate strategy work, it is necessary to understand how it delivers against campaign objectives and how success will be measured. The strategy should be built on insights and there should be a clear rationale for the choices of the channels and the vendors within those channels. Fundamental to evaluating the strategy work will be its KPIs, so it is crucial that these are agreed before the campaign is approved - including how they will be measured and reported. Regularly evaluating an agency’s performance is at the heart of building a productive relationship with them. Using an Agency Performance Management (APM) program will monitor a wide range of important service delivery areas such as strategy, thought leadership, delivery of scope of work and innovation. To build the best possible picture, evaluation questions should be completed by both the agency and the advertiser – especially key client stakeholders across marketing, media and procurement. A 360-review gives agencies the opportunity to feedback on your performance, identifying behaviours that you could improve to everyone’s benefit. The outputs from regular evaluations can be built into an agenda for use by senior management and stakeholders on both the client and agency sides. Working together, they can use the outputs to identify opportunities to improve day-to-day operations and ways in which the client-agency relationship can be developed further. Agency performance evaluations often form part of a Performance Related Incentive Programme (PRIP) that links to an agency bonus or malus, and it is recommended that you carry out these evaluations every six months. Read more about implementing a PRIP as part of an Agency Performance Management program in the Measuring Media Value section.